Home » Chinese Health Secrets » This Week’s Emperor’s Power Walk-week begin February 12, 2019: Feng Shui Info & Auspicious Day. 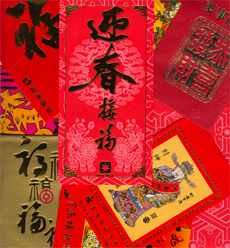 This Week’s Emperor’s Power Walk-week begin February 12, 2019: Feng Shui Info & Auspicious Day. I In this example if you get up and leave your house between 6-8 AM (regular world time) then your very best walk is in the BLUE/GREEN sections of the chart….that first day’s first time period on the chart is <<E>>…. just walk in that sector when you leave the house (you can get your custom map by clicking “GET MAP” ). Just walk or drive in the best sectors for the first 15 minutes of the day. Every day use the direction indicated on the chart. In the above example, between 6-8 AM the red sector (or Dead Door) is <<W>> which indicates a bad luck direction for that day/time period. If you ever had one of those “bad days” you may have walked in the bad sector when you left your house first thing in the morning. Just follow the chart in the good sectors and don’t walk in the RED bad sectors for the first fifteen minutes of the day.